HGM6200K series Genset controller integrating digital, intelligent and network techniques is used for automatic control system of diesel generator. It can carry out functions including automatic start/shutdown, data measure and alarming. The controller uses LCD display, optional Chinese, English, and Spanish, display interface with operation easy and reliable. HGM6200K series Genset controller uses micro-processing technique which can carry out precision measure, constant value adjustment, timing and threshold setting and etc. function, but most widely controller parameters can be adjusted from controller front panel, or use the PC through programming interface, also can use a PC via RS485 interface and monitoring. Its compact structure, simple wiring and high reliability, can be widely applied to various types of generating units automation system. 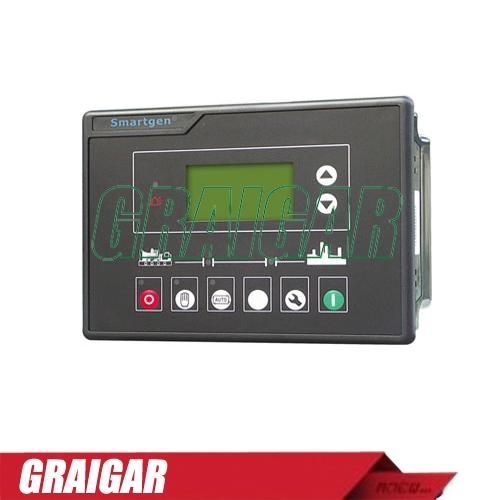 HGM6220K/6220KC: Based on HGM6110K/6110KC and add mains AC monitoring, Mains/Generator Automatic Mains Failure functions (AMF), especially suitable for the automation control system composed by Mains and Generator. Controllers have the historical records, real-time clock, and scheduler run (PC) function.